"As for serious problems. Consider these problems as opportunities for growth. Change is not easy. The ego rejects change, yet change is the law, change is the real. Obstacles to the higher path are many. That is why few arrive. If obstacles are non-existent then the ego will create them. Understand? Your ego is creating obstacles. Maya creating maya. "Step back. Observe, without judgment, unconditional. Watch now as obstacles melt, become no-thing. Do this each time a block appears. Step back and observe without judgment. Chant the mahamantra silently. 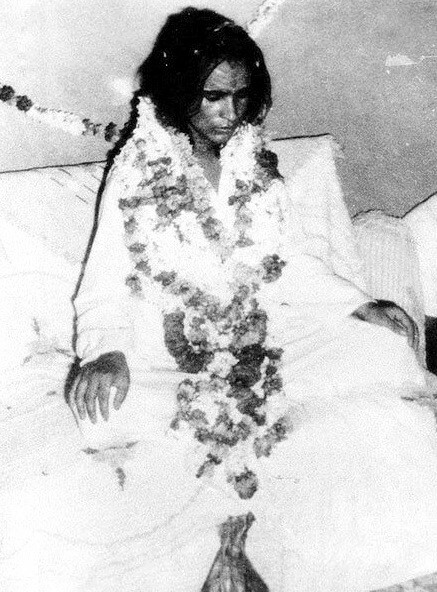 Invoke the name of Babaji within your heart. The obstacle passes, quickly. "Remember, obstacles are part of change and change is the law of nature. If you react, then the obstacle becomes larger. If you observe, pure observation, then the obstacle passes, as quickly as it was created. Go now. Observe. "Pure observation. No judgment. Chant silently. Invoke Babaji within your heart. Now see the movement of Truth, the movement of Simplicity, and the movement of Love permeate the fabric of space and time and move upon the heart. "I am Bhole Baba. I am no-thing. I am no-body. To find me, find what I am not. "Do not assign the ego to question me in a manner that is complex, not from the heart. I can never be found in this manner. I am no-where, no place.